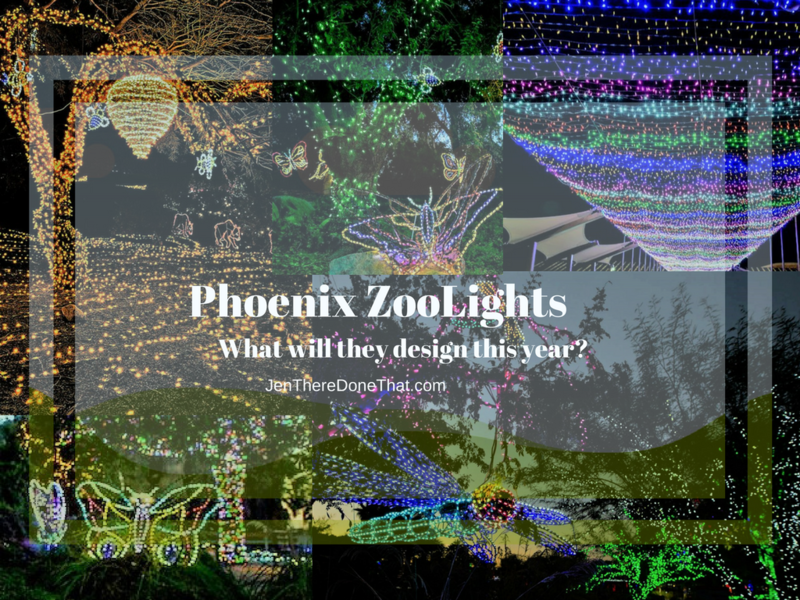 Stroller friendly, and enough excitement to keep the little ones entertained, Phoenix ZooLights is a holiday favorite in my family. Several of my family members buy the annual Zoo membership, and the kids (young and old, er taller) enjoy the annual visit to ZooLights! There are light choreographed music shows illuminating the Zoo lake. And it recent years, ZooLights has added a carousel! My favorite activity, day or night, is Stingray Bay. Where the majestic stingrays swim and play in the pool. Every year the light show gets bigger and better! Do not miss out on this light show extravaganza for the whole family! Phoenix Zoo members get special admission days and member discounts. 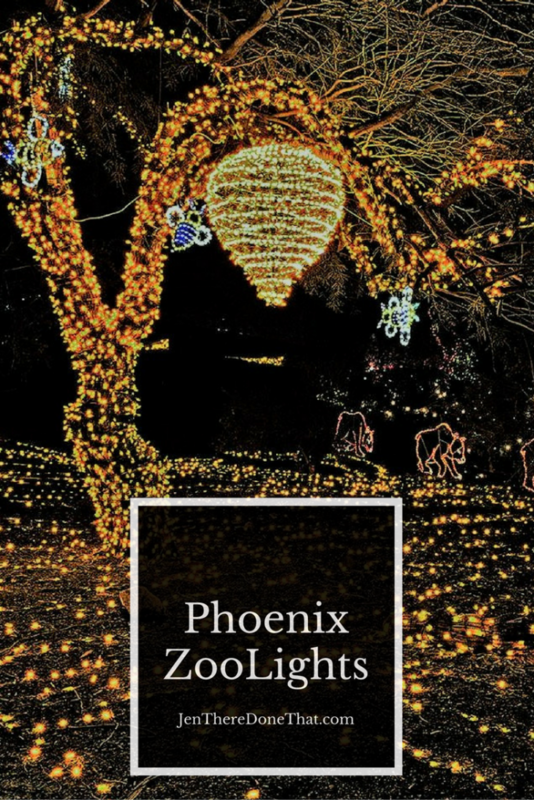 More information and tickets can be purchased directly from the Phoenix Zoo. What wonderful lights! They really are spectacular! Sting rays fascinate me to. They look so cute with their little mouths. I was lucky enough to see them in the wild in Belize. I love when things start to feel really Christmassy! This would definitely help that. I think I’m going to need to decorate my house because it’s just not the same here in Spain! Gorgeous, and such a great idea to have it at the zoo. Thanks for sharing! Oh, I love light shows. They are so pretty 🙂 Unlike fireworks they are also much calmer and thus I definitely love to visit places where I can enjoy them. The lights are so beautiful! And what a great way to see the zoo. 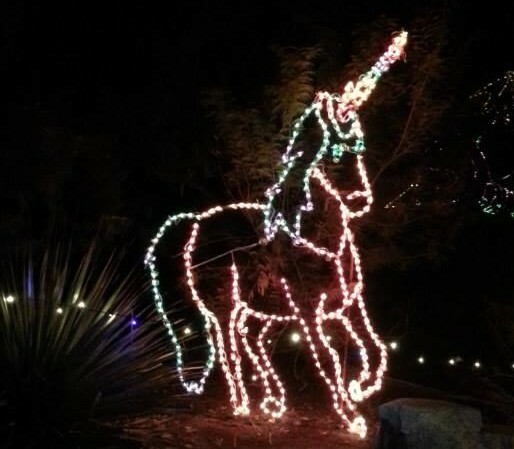 I love that they have a unicorn, it makes it that much more magical. Oh, I just love Christmas Lights! I can’t believe how frequently you’ve gone! You’ve inspired me to make it a tradition as well! What a cool and unique place to see Christmas lights. Normally, they’re out in city squares but this makes it a totally different experience. Look at those lights. They are surely fascinating and definitely enjoyable to watch. I am really amazed with those lights especially i see many of those this festive season. This looks so cute! I’ll definitely have to keep this in mind visiting Phoenix someday. Can’t believe how warm out it’s been overall in the US! Looks like the perfect place to be with kids. They are quite enchanting. Phoenix perhaps, does not get that cold? Phoenix stays warm year round. Winter is nice and cool, but rarely cold. Love those lights! They look very Christmasy. I would never have expected to see them at Phoenix Zoo though. I love how they have a light show, it looks like something different and unique to see at a zoo. I love seeing all of the Christmas lights around this time. This looks so cool! What a great way to celebrate the holidays. I would love to walk around and check all the lights out while sipping on holiday drinks, sounds amazing. The string ray pool would probably be a favorite of mine too, they’re so cool! Very cute. Love any type of light show and I;ve not seen ones in a zoo before. Imagine it would be great for kids. Oh wow! These light displays are truly magical. I would love to experience these for myself!